Microsoft Band 2: More attractive design with curved screen, Does Windows 10 in its interior? The leaks about new devices that Microsoft will present on October 6 still occur, and now we get data on one of the protagonists will probably be the coming months. The Microsoft Band 2 . The information reaching us achieves this kind of information-from which we can see the new design of a more ambitious Microsoft Band 2 both outside and inside. It detects stairs, would Windows 10 also starring? In such leaks it is revealed as the second iteration of this bracelet that monitors physical activity now provides a design with a striking curved screen that reminds the Samsung Galaxy Gear Fit. On one side of the screen we have two physical buttons that will help us navigate the interface and device options. 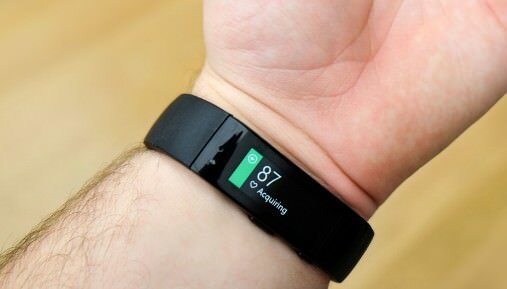 Improvements will be accompany to their functions of monitoring of physical activity. In addition to be able to detect our height – something that seems rather anecdotal, is a fact that we usually know pretty accurately – bracelet will be able to detect whether we are up and down stairs when performing this monitoring. The availability of this bracelet will also be expanded, and according to Microsoft Insider will have it from the beginning, something that seems to reinforce a commitment that had been somewhat shy in the first generation of these devices. We wonder, though, what type of operating system will integrate. In the first edition there was talk that there was no operating system that govern it, and instead had “a firmware or architecture for wearables optimized for very small and very low power devices”. On this occasion, however, we hope to see in action to Windows 10 IoT Core as an alternative that can demonstrate the validity of Microsoft’s unified platform in this area.